Kayleigh became profoundly deaf at the age of 19 months from bacterial meningitis. Growing up, she always had a passion and talent for hair styling and design. Her deafness did not stop her from pursuing her dream; She enrolled at Vici Beauty School in 2008 to learn the fundamentals of hair design, nails, and skin care and obtained her license as a cosmetologist. Kayleigh has taken advanced training in all aspects of the business and has participated in photo shoots and fashion shows. She has immersed herself in educational and training opportunities within the industry in order to stay current with the trends and new technology. She loves to socialize, and her most important task is making her clients feel great about themselves by catering to their individual needs and unique looks. 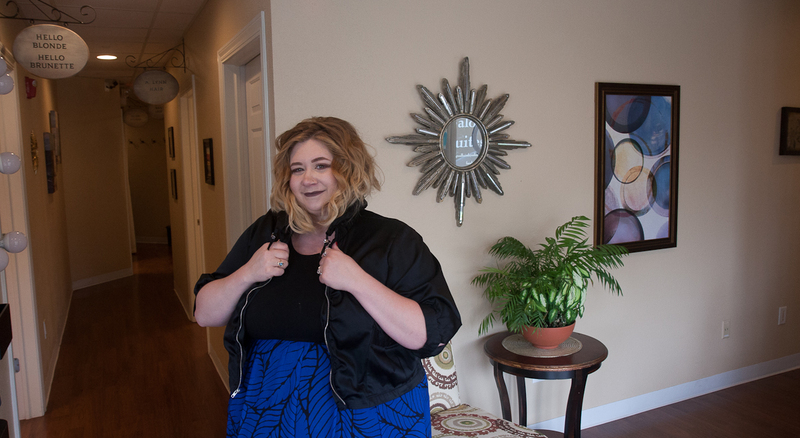 Kayleigh was proud to take her dream one step further and opened her Milwaukee salon in early 2015, located at 1910 N. Farwell Ave on the Lower East Side. She has always embodied the confidence that individuals with disabilities are limited only by the imagination and motivation to succeed. Her success is not only being a salon owner but as a role model to the deaf and disabled community. She has the benefit of interacting well with both hearing and deaf people, which allows her to speak very well, lip-read and is fluent in ASL. She collaborates closely with her clients, using her creative talents and experience to make sure they leave happy, rejuvenated, and having a great hair day! Many people think Kayleigh has a foreign accent when they hear her speak for the first time. During her college years at the University of Whitewater, it became a silly theme that she is not deaf, but “Russian” instead. The looks on people’s faces are priceless when they find out Kayleigh is deaf and not from another country. An animal lover. Shares four wonderful furbabies with her husband. Three cats and a dog. Will result in a longer service with a thorough consultation and make sure I will meet and address your desired look on your special day.